The Supreme Court has stayed the order of Special Committee of Bar Council of Tamil Nadu and Puducherry by which it had suspended the licence of an advocate while sending a recommendation to the Bar Council of India for cancellation of his enrolment on the ground that he had concealed the fact of his involvement in criminal cases at the time of enrolment. A bench of Justice R K Agarwal and Justice Abhay Manohar Sapre stayed December 13, 2017 the order of the State Bar Council suspending the licence of advocate M Antony Selvaraj while leaving it open for the BCI to take a final decision on the merits of the matter. The apex court’s decision comes on an appeal filed by Selvaraj against the January 9 order of the Madras High Court which had refused to grant him any relief and had only directed the BCI to hasten the proceedings in the matter and take decision on the State Bar Council’s recommendation for cancellation of his enrolment within eight weeks. 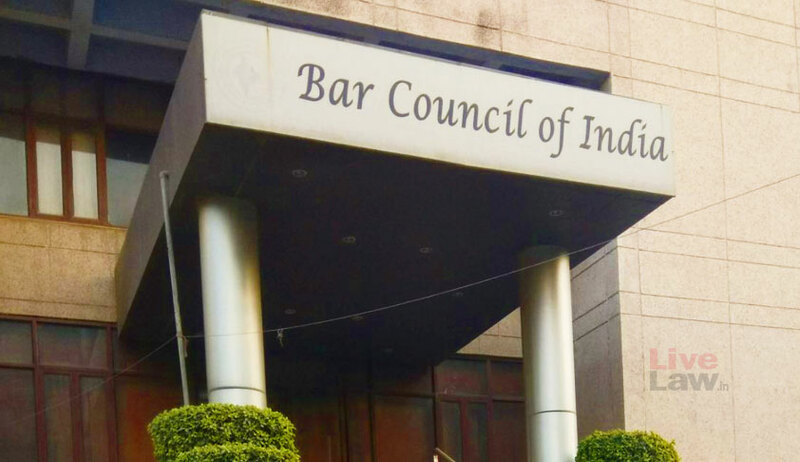 Before the apex court, the BCI agreed with Selvaraj’s counsel, senior advocate C.Ariama Sundaram’s contention that the State Bar Council had no power to suspend his licence while sending a recommendation for cancellation of his enrolment to BCI. It is to be noted that the Bar Council of Tamil Nadu, functioning through its Special Committee, while recommending the matter of the petitioner to the Bar Council of India for cancellation of the enrolment certificate, had suspended his licence of practice. Challenging this order, Selvaraj moved Madras High Court where he conceded that he is being prosecuted under Sections 406 and 420 of the Indian Penal Code and that he had suppressed the information pertaining to the pendency of criminal cases, at the time of seeking enrolment. He, however, contended that the Special Committee had no jurisdiction to pass the impugned order, whereby, while referring the matter to the Bar Council of India, under Section 26(1) of the Advocates Act, 1961, for passing appropriate orders for removal of his name from the roll of State Bar Council. He had contended that such a power is not available to the Special Committee either in the proviso appended to Section 26(1) of the Advocates Act, 1961 or under Rules 1 and 2 of Chapter VII of the Bar Council of India Rules. “The fact that the offences were committed by the petitioner prior to his enrollment, in our view, ought not to make any difference, as the premise on which, an advocate is enrolled and granted a license is that he is a gentleman. The petitioner, according to us, clearly, does not fulfill that parameter; at least that is what is evident to us, at this juncture. Therefore, the petitioner will have to go through an enquiry which would be conducted by respondent No.1 (BCI)…,” the high court had said in its January 9 order while directing the BCI to take a decision in eight weeks. Selvaraj then moved Supreme Court where BCI did not deny his contention that the State Bar Council has no power to suspend the licence/enrollment certificate of an advocate while making a reference to the BCI. “However, it will be open for the respondent-Bar Council of India to take a final decision on the merits of the matter,” the apex court ordered.